There can be few more bizarre and unusual theatrical offerings than this production performed at the Lichfield Garrick theatre. 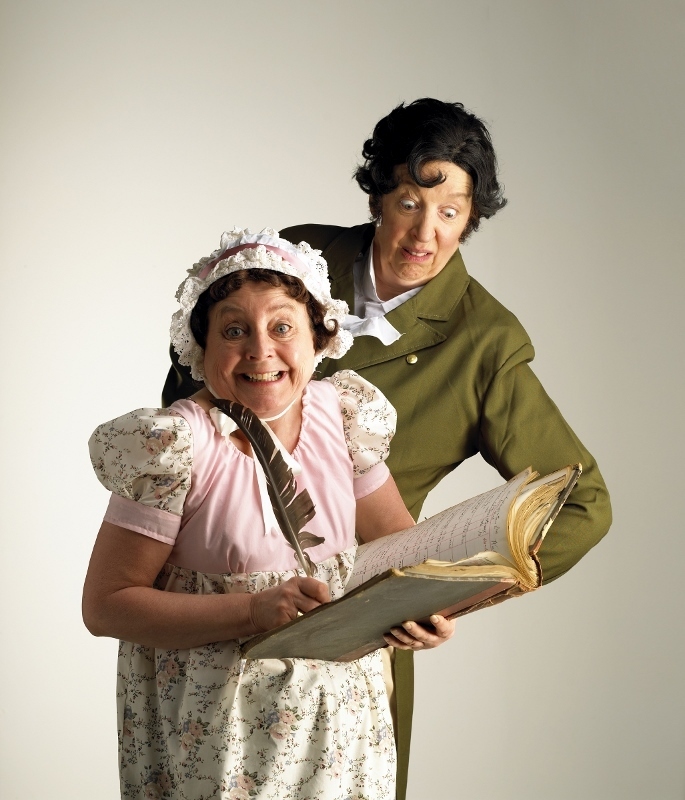 Mr Darcy Loses The Plot, which was performed on Saturday 23 September, was conceived by LipService Theatre to celebrate the 200th commemoration year of famed classical author Jane Austen. But from then on things get a little surreal and complicated. 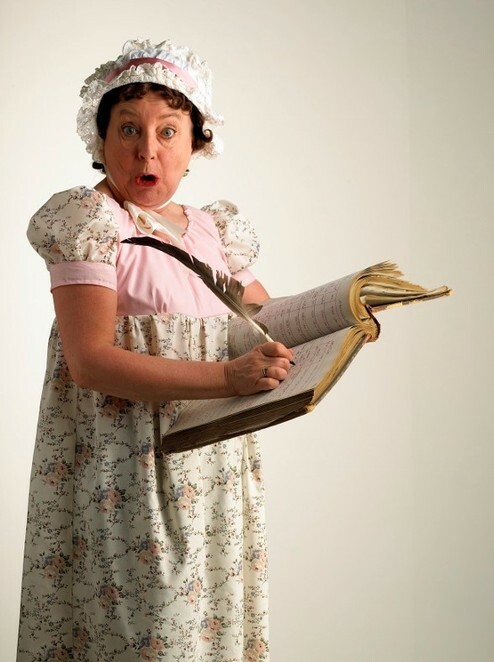 In essence, the play seeks to celebrate the talents and success of female authors through the ages, who were frequently forced to write in secret and under male pseudonyms in order to get published. So it is that female authors Jane Austen, Elizabeth Gaskell, Daphne du Maurier and Beatrix Potter are name-checked in the opening couple of minutes of the play. It gradually becomes apparent that a modern-day author is in the process of writing a book about female authors, but their various stories keep getting mixed up. And to add more confusion to the mix, Jane Austen's dashing male character of Mr Darcy from 'Pride and Prejudice' seems to take on a life of his own as 'he' jumps from book to book, turning up as the male lead in du Maurier's 'Rebecca' Gaskell's 'Mary Barton', set in the gritty mills of Manchester, and even as Jemima Puddleduck in Beatrix Potter's book of the same name. I said it was complicated! No wonder then that LipService have been described as 'Britain's favourite literary lunatics'. 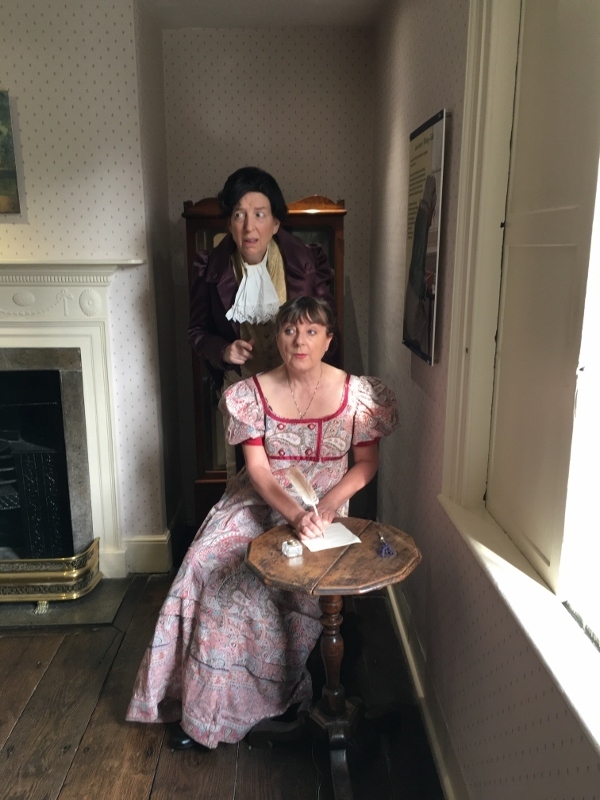 Mr Darcy Loses the Plot' is certainly an ambitious piece of work in which Maggie Fox and Sue Ryding, who make up LipService, excel in the multitude of roles, both real and fictional. Where this play does work well is in the characters chatting to themselves as they discuss the plot, such as Mr Darcy and Mr Bingley in 'Pride and Prejudice', and in Mr Darcy trying to discover what comes next during a discussion with his 'creator', Jane Austen. The play also benefits from the clever use of a video screen, particularly a ballroom scene from 'Pride and Prejudice' in which Mr Darcy and Elizabeth Bennett dance seamlessly from screen to live stage.